On Sundays QVC design guru Isaac Mizrahi likes to have breakfast, oatmeal, at our favorite Manhattan restaurant, Pastis. 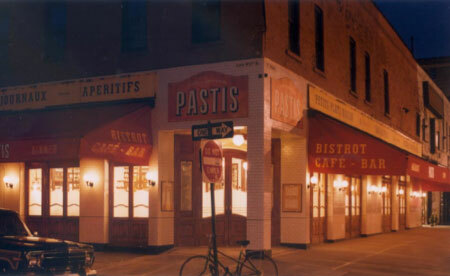 Of course, when we go to Pastis, which is in the Meatpacking District, it’s not for oatmeal. It’s at Happy Hour, for Bombay Sapphire martinis, with olives, to wash down our steak frites. The feature acknowledges right off the bat that Mizrahi has a lifestyle collection on QVC, and that he co-hosts the Bravo program “The Fashion Show” with model/entrepreneur Iman, who is an HSN vendor. Mizrahi likes to go for a morning swim, and then has to wait for his boyfriend, actor Arnold Germer, to get up so they can walk their dogs. Germer lives a few blocks from Mizrahi in the Village. Mizrahi’s dog Harry has been featured in a number of the designer’s QVC items. Mizrahi enjoys going to museums and the movies on Sundays (as do we, we saw “Black Swan” today, and thought it was great). But Isaac, please lose the head scarf. QVC designer Isaac Mizrahi is buying new digs in the Greenwich Village, according to the New York Post. Mizrahi, who is also hosting Bravo’s “The Fashion Show” with HSN vendor Iman, has a contract to buy a condo on West 12th Street, where he already has a place. The building boasts actress Cameron Diaz as a resident. Gee, we’re surprised he didn’t look at our garden apartment complex in Montclair. Who’d you rather have as a neighbor, Diaz or The Homeshoppingista? According to the Post, Mizrahi is paying more than $2 million for the new unit, and he plans to combine it with the one he bought earlier this year for $1.1 million. Sounds like it will be quite a crib. TV Guide CEO Jack Kliger sold Mizrahi both places, according to the Post. Model/entrepreneur Iman’s Global Chic line on HSN is one of the home shopping channel’s top four sellers among more than 200 apparel and jewelry lines, according to The Sunday New York Times. In a Style section profile headlined “Not Just Another Pretty Face,” we learn how Iman’s association with HSN came about, as well as getting a history of how she went from being a Somalian diplomat’s daughter to a super model. Iman, who is “Ziggy Stardust” creator David Bowie, came to New York City in 1975 knowing five languages, “but had never worn makeup or high heels,” according to The Times. We learn about her ascension as a super model, and then about how she created her own makeup line for women of color in 1994. It turned into a $25 million a year business. Later on came HSN. HSN CEO Mindy Grossman in 2007 “was convinced that any fashion merchandise with Iman’s name on it would be a home run for her television home shopping network,” according to The Times. Iman didn’t want to do it initially, since she had no experience as a fashion designer. But she felt comfortable starting out with caftans, which she had worn while living in Egypt. At one point in the story, Iman shows off her HSN sequin knit wrap. The news peg for the story is that tomorrow, Monday, Iman will be recognized as the year’s Fashion Icon by the Council of Fashion Designer of America at Lincoln Center in Manhattan. We hope they don’t share secrets of each other’s home shopping channels, but HSN fashion vendor Iman is going to be a co-host and judge along with QVC’s Isaac Mizrahi on “The Fashion Show,” which airs on Bravo. Iman, the supermodel/entrepreneur who is married to space oddity David Bowie, is replacing former Destiny’s Child member Kelly Rowland on the reality show. “The Fashion Show” became Bravo’s fashion competition show last year when “Project Runway” moved to Lifeteime Television. Mizrahi, in turn, is doing a broad line of merchandise for QVC ranging from clothing to handbags to housewares. Fashion designer Isaac Mizrahi debuts on QVC Dec. 4, and Seventh Avenue is all abuzz. Mizrahi, who has taken to wearing a silly scarf on his head, will be bringing premium apparel, accessories, housewares and cheesecake to West Chester, Pa. Yes, that’s right, cheesecake. In a Q-and-A in the New York Daily News Sunday, Mizrahi says he “is doing a collaboration” with world famous Junior’s cheesecake. The result is a cake “with a plaid fondant top,” he tells the News. We know what plaid is, but we have no idea from “fondant” is. Anyway, Mizrahi already gave Women’s Wear Daily the scoop on his QVC stuff. And WWD has a photo of the tartan plaid cheesecake. Mizrahi also told the News that he had whipped up some chocolate tuille cookies for QVC, but they couldn’t be successfully shipped. The designer said that QVC is going back to the drawing baord to try to find the right recipe that will make the cookies pass the shipping test. QVC reported its best quarterly earnings Monday since early last year, with officials giving celebrity stylist Rachel Zoe, Michael Jackson and the Beatles some of the credit. But the picture for the last nine months wasn’t so rosy. He also claimed that QVC is taking marketshare from a broad array of retailers, in part by drawing in new customers with big names like Zoe. QVC domestic posted $1.098 billion in revenue the third quarter, a 2 percent increase from $1.073 billion in the year-ago period and “our first positive sales growth since early last year,” George told analysts on the call for John Malone’s Liberty. Nonetheless, QVC’s domestic revenue in the first nine months ended Sept. 30 dropped 4.3 percent, to $3.308 billion from $3.430 billion, compared to the prior-year period, according to the 10-Q Liberty Media filed Monday. In the third quarter QVC’s strongest gains were in the categories of beauty, accessories, consumer electronics, and cooking and household goods, according to George. As in prior quarters, jewely and apparel sales remained soft, but the rate of decline in jewelry has moderated as the weakness QVC has seen in gold jewelry was partically offset by stronger sales for lower-priced fashion jewelry lines, George said. 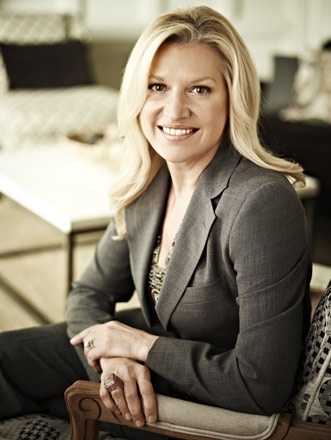 Adjusted OIBDA at QVC domestic was $244 million in the quarter, a 10% gain from $221 million a year ago. The 10 percent increase is “our strongest profit growth since the fourth quarter of 2006,” George told analysts. QVC was particularly encouraged by the new customers it gained in the third quarter, a 9% increase, “our highest rate of new-customer growth in the last seven years,” according to George. More importantly, the total spending of new customers increased 18 percent, he said. Answering questions from analysts, George said that QVC’s improved results and jump in new customers was a result of: the shifting of its product mix, to more fitness and consumer electronics versus jewelry and apparel; popular entertainment offerings like CD sets and other Jackson merchandise and a remixed Beatles set,; more aggressive marketing; and the addition of high-profile names such as Zoe, the celebrity stylist who has a show on Bravo. The QVC chief also cited the network’s deal with Liz Claiborne. QVC will sell the Liz Claiborne New York line and has forged a partnership with the clothier’s creative director Izaac Mizrahi, formerly with Target. QVC has also been helped by gaining better channel positions on cable lineups, a second slot on DirecTV, and the addition of its HD network, which essentially gives it two slots. The HD service has 25 million subscribers. QVC has gained share in consumer electronics, beauty, accessories and handbags, and retained its marketshare in jewelry and apparel, its CEO said. The network has “built a prestige beauty business,” according to George. Liberty Media president and CEO Greg Maffei led the conference call. QVC has very high hopes for fashion designer Isaac Mizrahi’s new lifestyle line for the network, according to QVC president and CEO Mike George. But Mizrahi better not mess with Joan Rivers. George was touting Mizrahi Friday during a presentation at the Liberty Media Investor Day in New York. Liberty is QVC’s parent. He called QVC’s recent deal with Mizrahi one of most exciting announcements of the last year and maybe the most exciting ever for the home shoppng channel. “We believe it will be one of our five largest brands, perhaps our largest brand, in a short period of time,” George said. Mizrahi, who we interviewed years ago for a story that won us a Gerald Loeb Award, was one of the first luxury designers to make the move to a mass retailer, Target, George pointed out. That was a huge success. as Mizrahi positioned Target “as a design and trend retailer,” according to George. “He can have the similar kind of transformational impact on QVC,” the CEO said. Mizrahi went from Target to Liz Claiborne as its creative director, where he is now. Some of Mizrahi’s QVC shows will be done live at his studios in Manhattan, George said, with the debut set for December. We were confused by, and maybe we misunderstood, one part of George’s presentation. He said QVC will be the exclusive retailer of Liz Claiborne New York, which is Mizrahi’s apparel line. The announcement about the Mizrahi-QVC deal, we thought, said that JCPenney was going to be the exclusive retailer for Liz Claiborne’s other clothing lines, and QVC for Liz Claiborne New York. But George’s comments almost made it sound like QVC has an exclusive on all of Liz Claiborne’s lines. Whatever. We wore one of his Target dresses to the Emmys last year, and now he’s coming to QVC. Fashion designer Isaac Mizrahi’s clothing line for Liz Claiborne, where he went after Target, is moving over to the home shopping channel. The deal was announced Thursday, along with news that struggling Liz Claiborne has struck an agreement with J.C. Penney, naming it the exclusive department-store outlet for its Liz Claiborne and Claiborne lines. In addition to the high-end clothes he once did, at one point Mizrahi was designing for Target. Those clothes were gorgeous, well-tailored and inexpensive. And as we mentioned, we strapped on one of his $59 black Target dresses for the Emmys last year. We actually interviewed Mizrahi several years ago when we were working for Crain’s New York Business. We and our colleague Phyllis Furman spoke to him for a story we were writing on AIDS and the fashion industry. That story won us a Gerald Loeb Award. For QVC, Mizrahi will create a line of apparel, accessories and home goods. categories in their U.S. and international markets. Liz Claiborne New York product at QVC will have higher-end styling and quality. The multi-year agreement has renewal rights, and Liz Claiborne receives royalty on net sales. Liz Claiborne’s clothing have previously also been sold at Macy’s as well as JC Penney, but now will only go to the JCPenney stores. “In order for us to fully capitalize on the Liz Claiborne New York brand’s vast equity with consumers, we needed to find a more productive distribution strategy,” Liz Claiborne CEO William McComb said.